Today was all about great mountain views and snow. Could not be a greater contrast to the desert we’ve experienced so far. 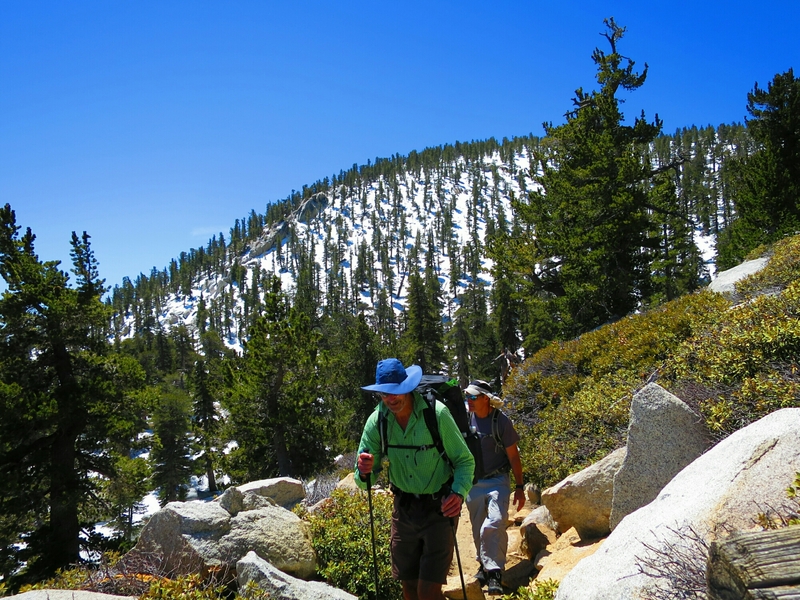 At one stage we thought we may have skipped the desert and arrived in the Sierras. By mid-afternoon yesterday Hammer and I were getting antsy about getting back on the trail. 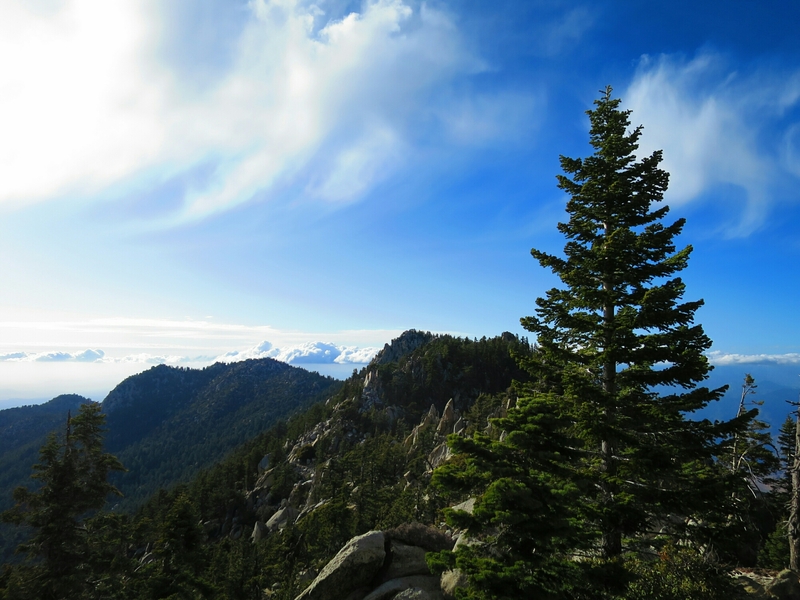 While we loved Idyllwild and would love to come back, the trail was calling. 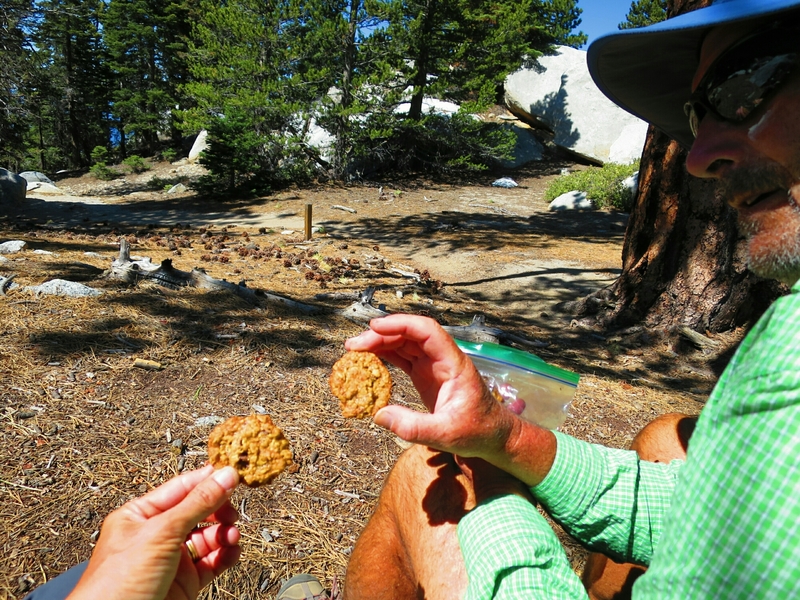 We debated about hiking out and camping along the way but decided that a we needed to stick to a full day of rest. 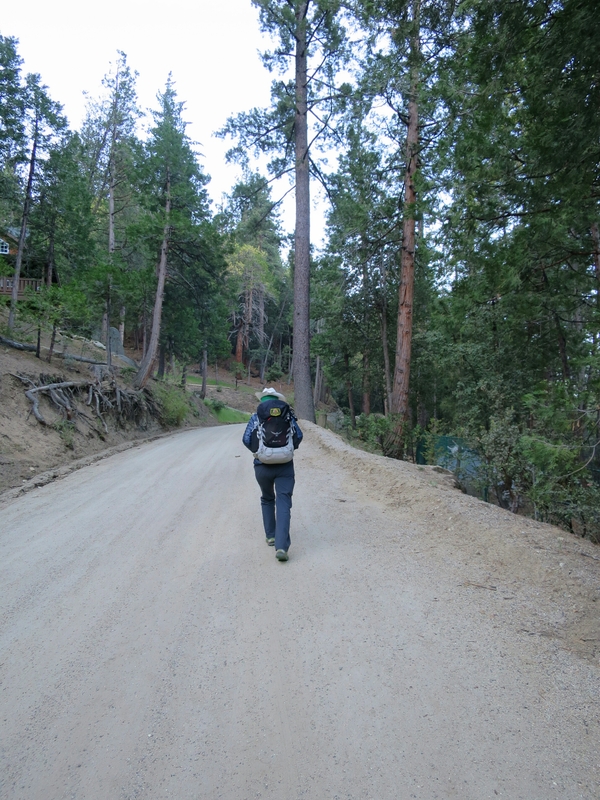 In the morning we headed off from the campground and through town to get to the Ernie Maxwell trailhead which would take us up to Devils Slide trail where we would rejoin the PCT at mile 179. 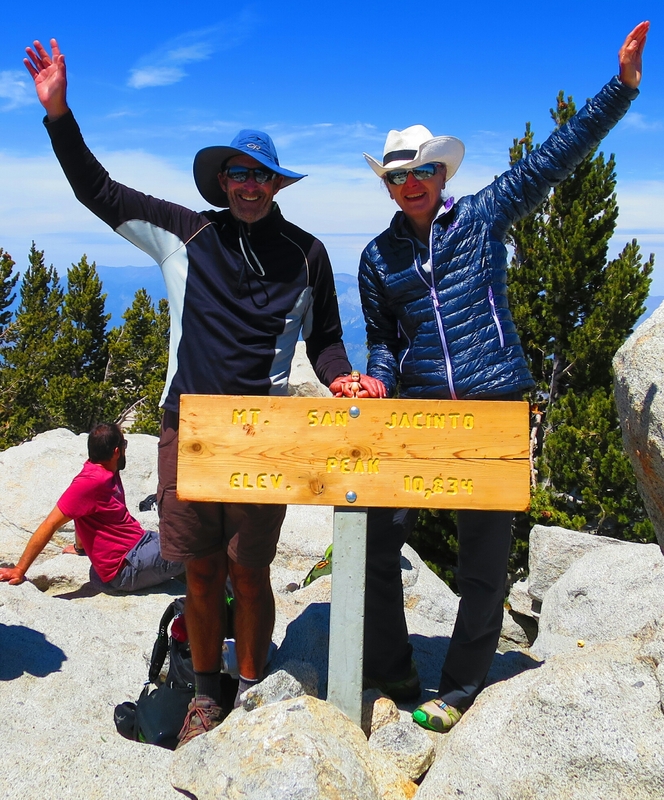 We had also chosen to do the 5 mile deviation off the PCT to climb the Mt San Jacinto peak. It was so cold in town when we left. It seems that we the only thing stirring, the town was so quite and appeared deserted. It was up, up up all the way fom town. 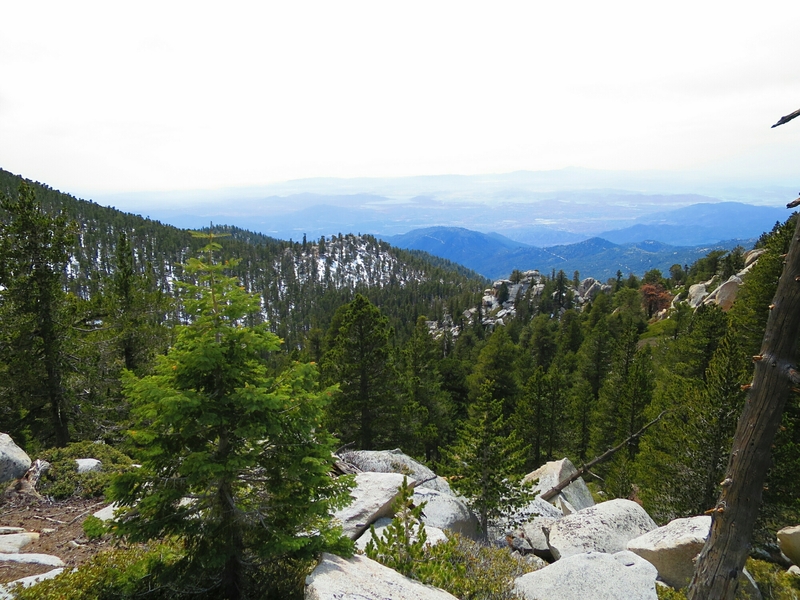 We had about 5400 feet of climbing to reach the summit of Mt San Jacinto. By the time we reached the Devils Slide trailhead, at Humber Park, the car park was full. 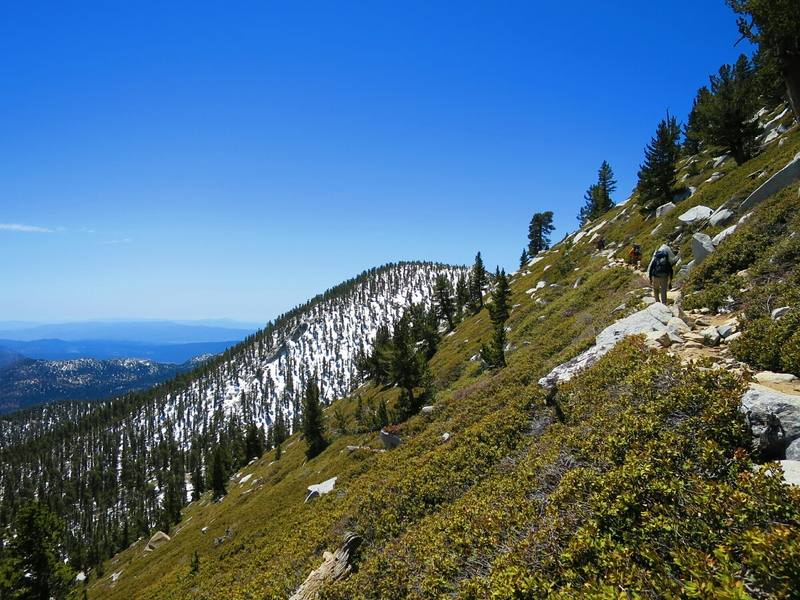 It was Sunday, so there were a lot of hikers and climbers out. 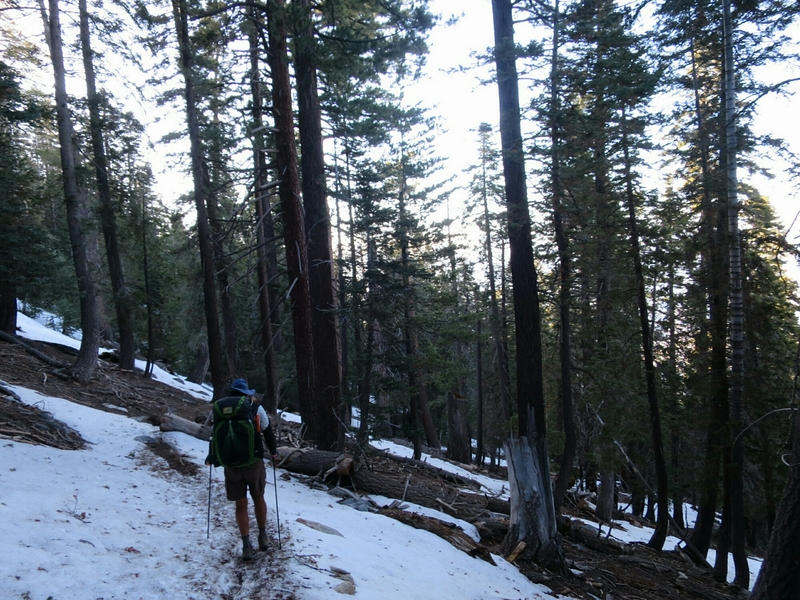 On the way up Devils Slide Trail we could see snow covered mountain peaks. It was such a contrast to where we have been for the past few days. 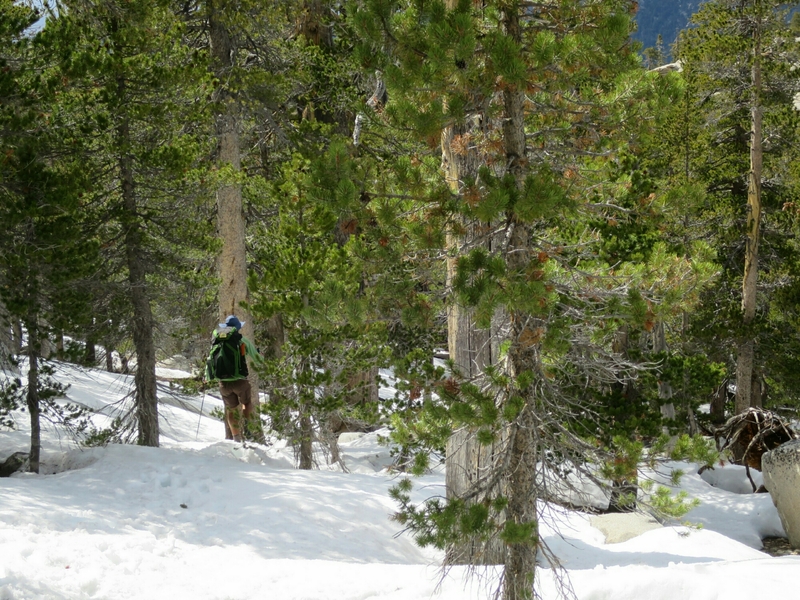 And as we were about to discover, a lot more snow on the way to summit. Reaching the junction with the PCT we were so elated. It was great to be back, on the job so to speak. 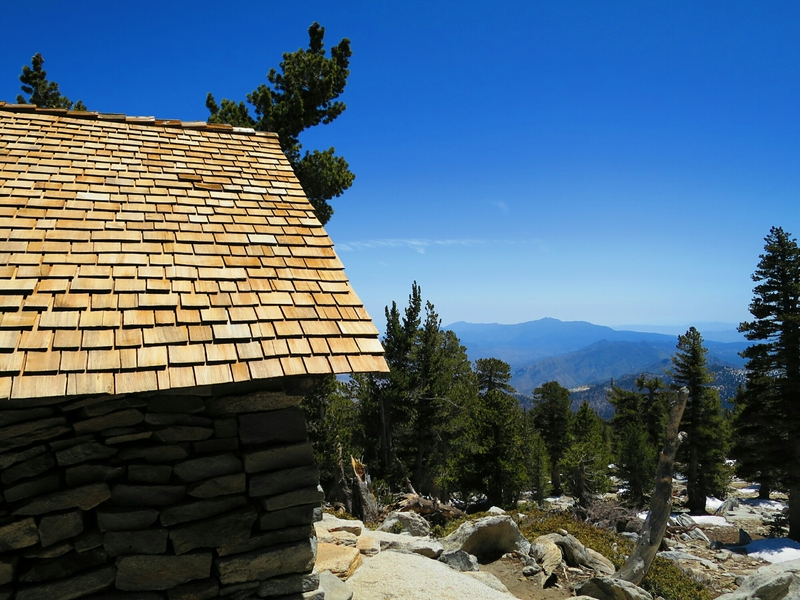 The hike up to Mt San Jacinto was just a hard slog. I really laboured with altitude between 8000- 9000 feet. 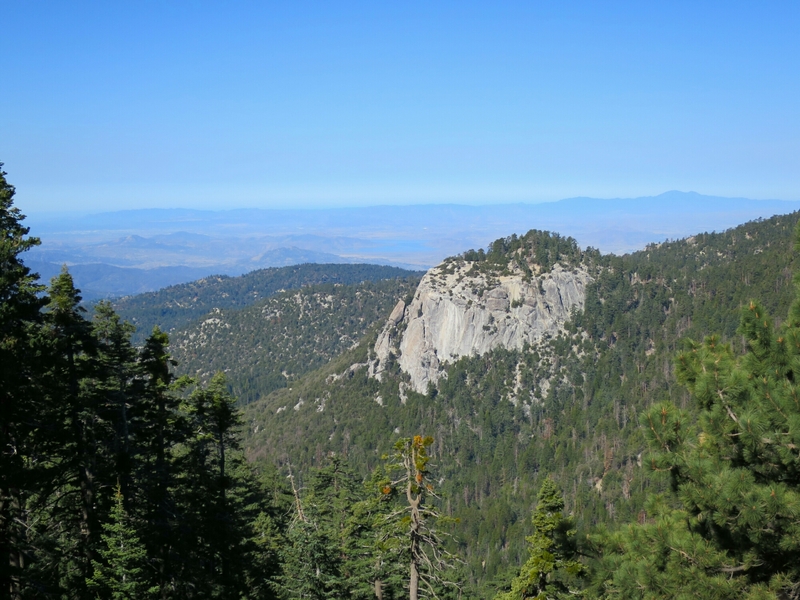 After that is seemed OK. Mt San Jacinto summit stands at 10,845feet, taller then Australia’s talked mountain. And it is one of seven +10,000 foot peaks in the area. And it is surrounded by desert. 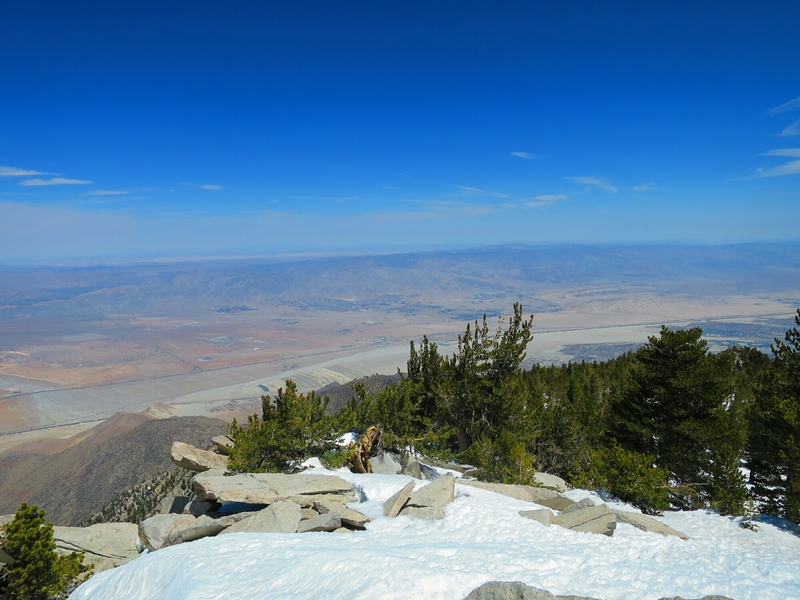 The view from the summit to the desert valley below was breathtaking. Also a reminder of where we are heading tomorrow. But first we have to get off the mountain. 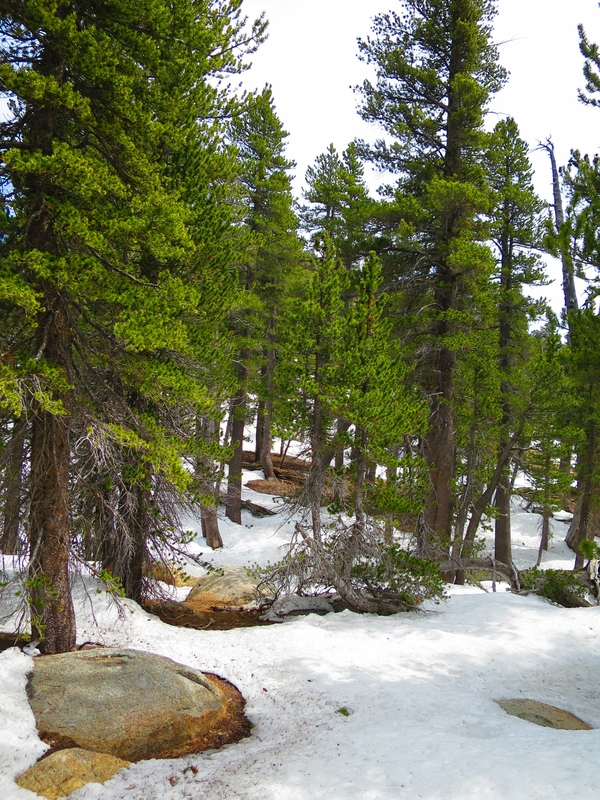 It was a rough, steep descent through a pine forest covered in snow. miles from a possible camp spot. Walking as fast as we safely could, through the howling, freezing cold wind we made it to a possible camp spot and stopped just as it started geting dark. The wind was whipping through the trees as we set up camp. Could not wait to get inside and out of the wind. It has been a long hard day and we were exhausted. The wind has not let up at all through the night. We were tucked inside our warm sleeping bags as the storm arrived. It was sleeting. So bizarre to think only 2 days earlier we were baking on the desert. Summitting seemed easy in hindsight Clare. Coming down was a but more of a challenge, especially with the change in the weather. Like the photo of the survey mark, I usually give the girls an ice cream if they find one. I’ll give Lou Seal one when she gets back. With regard to Hammer (Mike) looking like Kevin Costner I though he looked more like the guy from Prison Break. what a contrast. I don’t like the cold. stay warm and safe. loving the story . I am definetely not a cold weather person. That’s what we were thinking. We are happy with our gear choices do far. 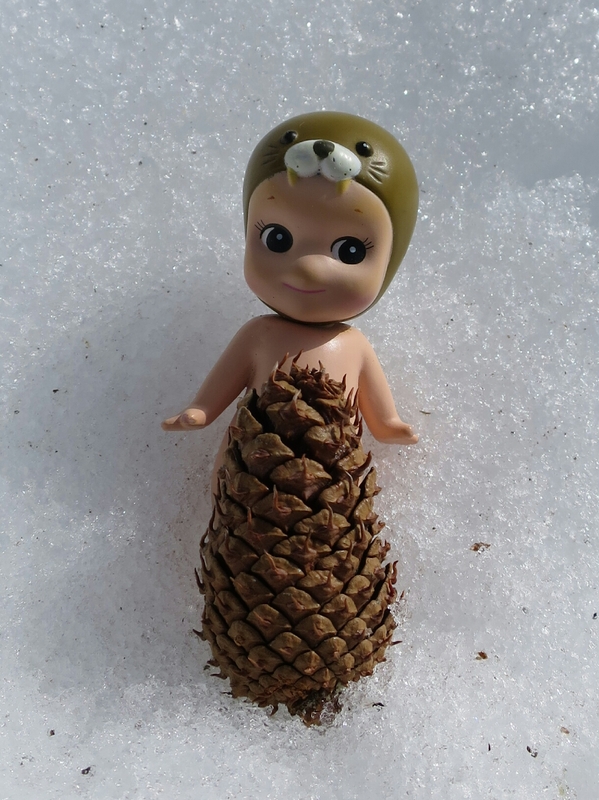 Although it was not quite freezing on San Jacinto.